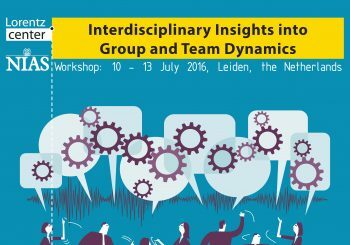 From July 10-13 2016, Nale Lehmann-Willenbrock (VU Amsterdam), Hayley Hung (TU Delft) and Joann Keyton (North Carolina State University) will host an interdisciplinary workshop funded by a NIAS grant at the Lorentz Center in Leiden. The workshop will bring together social scientists and computer scientists who study interactions in small groups. Specific topics of interest to both social science and computer science attendees will include the emergence and dynamics of group cohesion, dominance, emotional contagion, collective affect, and rapport-building in social interactions. For details and registration, please visit the official workshop website here.